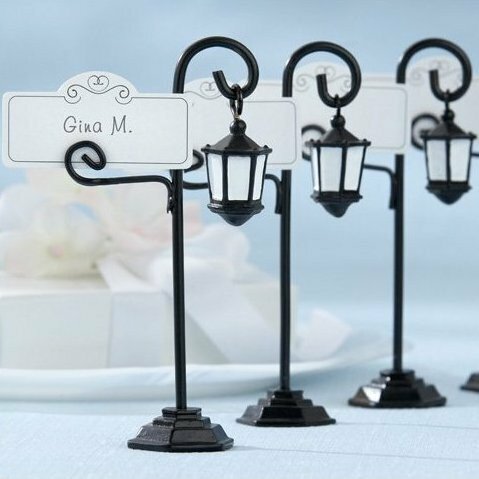 Beautiful place card holders in the lamp post design, makes for an elegant table setting and gifts for your guests! Includes place cards as shown in the photo. Measures: 11cm high, 5.5cm wide, 2.5cm base.